Laser Cutting for Aerospace Parts & Aircrafts | Laser Cutting Company, Inc. The extreme conditions that aerospace vehicles operate under demand the ultimate in precision and durability. As a result, laser-cut components aren’t just a cutting-edge idea—they are simply the best way of crafting the most accurately engineered parts with the greatest degree of efficiency. Through our experience within the aerospace industry, it has been clear that the aerospace industry includes a number of different applications for laser-cut components and production processes, including commercial aviation, military aircraft, and the growing commercial space program. Laser machining of parts for the aerospace industry according to ISO 9001 specifications provides a consistent product from one-off projects and prototypes through to full-scale production runs (and every easily-made adjustment along the way). Laser cutting of these materials is the most effective cutting method, decreasing waste and downtime, along with speeding up the turnaround of parts (even if modifications must be made). Laser machining makes it possible to maximize production from sheet and coil materials by providing the smoothest, most precise cuts possible. This dramatically increases material efficiency in aerospace production. Laser cutting tools provide the cleanest cuts to maximize usage of all components in a light-tight, controlled environment with fewer moving parts (thus reducing downtime due to malfunctioning equipment). Productivity is enhanced using aerospace machining versus traditional cutting tools, because downtime due to malfunctioning equipment can be virtually eliminated due to fewer moving parts. Additionally, if changes need to be made, they can be made incredibly quickly, ensuring maximum productivity as quickly as possible. 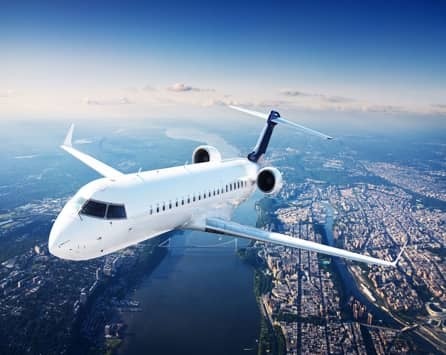 Production costs within the aerospace industry can be controlled using laser machining processes because of the wide variety of materials laser cutting can be used with. Additionally, laser is a cost-effective production tool because of the decrease in waste material and the greatly reduced maintenance costs and decreased number of people required to operate the equipment. From one-off projects to full production runs, Laser Cutting Company handles projects of all size for your aerospace component cutting needs. While traditional machining processes require a great deal of lead time to configure equipment, our administrative and operational processes allow us to respond to your needs quickly and efficiently. We can provide you with a quote within twenty-four hours, along with exceptionally fast turnaround of your project. We handle in-house part edits, and our service extends through every part of your process, from programming to fixturing to cutting, in full compliance with ISO 9001 standards.